​TOUR Tour of the ranch under the guidance of the host, information about the animals and the development of the ranch. 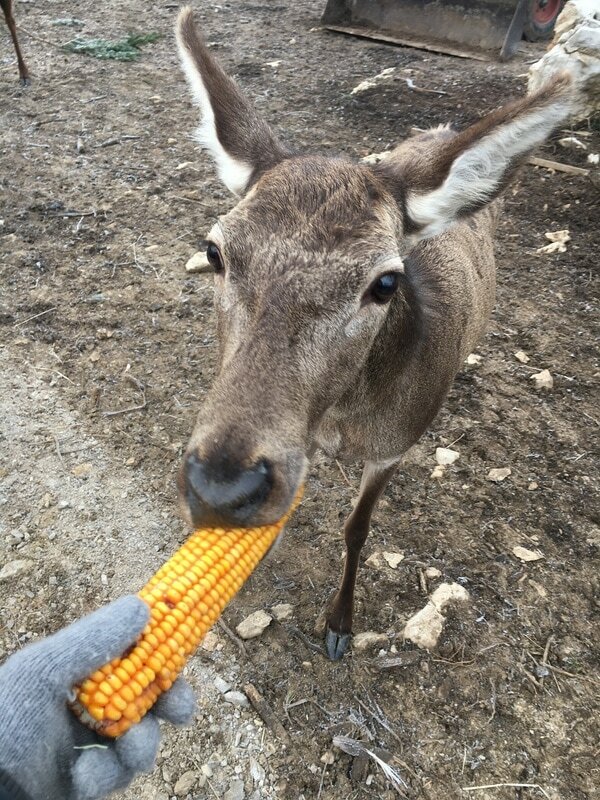 FEEDING You will have the opportunity for a close encounter with the animals and the possibility of feeding animals with food that we prepare for them every day. REST After the tour, you will be able to rest in an area that we have made with special care for you to enjoy the nature and the view. You need to contact us before arrival. Working time is changing depending on weather conditions and animals. All prices are expressed in Croatian currency - kuna (kn). Prices are for a tour per person. For children under 7 years the entrance is free​ of charge. For us it is a privilege to take care of animals, and we do it with special love and joy. We are not the owners of the animals, the ranch is their home and you will have a once in a lifetime opportunity to get into their habitat. We hope you will enjoy this moment, as we enjoy it every day. To protect the animals, here are some rules you need to know before you enter the ranch. There is also a video surveillance because, for us, the safety of animals is at the first place.